Hanson Robotic’s Professor Einstein: MeGa-Interview with a Personal Genius & Robot Sketch Comic!? GET PROFESSOR EINSTEIN (“He’s Super-STEM-y”)! Click this link for more deets on Professor Einstein! HoLy PiPeRoNi! For the first time in almost 10 years, we’re interviewing a robot! It’s Professor Einstein! YES…as in Albert Einstein….from Hanson Robotics! Hanson is known around the world for their incredible work on life-size robots like Sophia and Alice. Sophia has even been on late night shows, but Professor Einstein gets to be on Piper’s Picks! Now, their first consumer robot, Professor Einstein, is here…and for science and robotics students and teachers, yes, he’s like MeGa-STEM! Plus, we’re breaking down what the Professor can do and how his Stein-O-Matic app works. It’s like a How-To for robots and their human companions. Professor Einstein is super into science, technology, engineering and mathematics (that part is for your teachers and parents). He’s MeGa-PiPeRiFiC. Hanson Robotics was founded by David Hanson. He used to be a sculptor and consultant for Walt Disney Imagineering. He’s taken his animatronic experience way beyond theme parks and into artificial intelligence. If you haven’t checked out their life-size robots, check out HansonRobotics.com (after you’ve watched this video of course)! Professor Einstein is an amazingly expressive and playful robot who trains your brain and teaches you science. He connects to the cloud and interacts dynamically with an iPad or Android tablet to talk with you, share his passion for science, challenge you with brain games, and take you on a journey of fun and learning. Looking just like the real Albert Einstein, with an amazingly expressive face, he will make you smile with educational games and science facts. He loves to chat and will answer your questions on a range of topics. He is your Personal Genius and guide to a world of wonderment. Piper Reese (imdb) is a high-energy and down-2-Earth 16 year old actor, MPAA accredited show host, and millennial/genZ Internet personality. She has conducted over 850 interviews with endless A-list and high-profile celebrities, producers, studio heads, directors, and recording artists. Piper covers premieres, large scale events, and on-set publicity for every major studio in Hollywood. As an actress, Piper Reese is best known as Nancy Patanski (lead) from the Nickelodeon/cITV show Deadtime Stories. 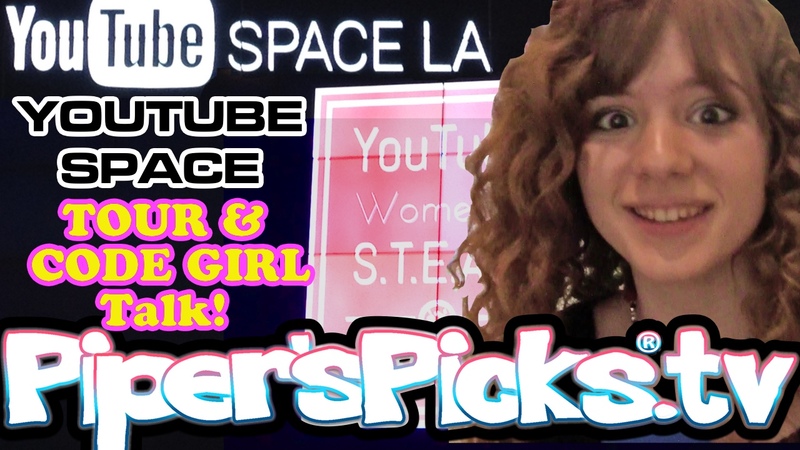 Adam Feinsilver launched Piper’s Picks, the very first online entertainment news show, with Piper Reese as host, in 2007. Now in its 9th year, Piper’s Picks is the golden standard for talent that has “made it.” The show is known throughout the Industry and is a favorite for PR and publicists looking to break new products, gain exposure, or get high energy and upbeat interviews for clients. We’ve got social networking presence on all major sites (including >139,000 real Twitter followers; ~25K on Instagram), a “Piper’s Picks® Approved” service mark and licensed products. 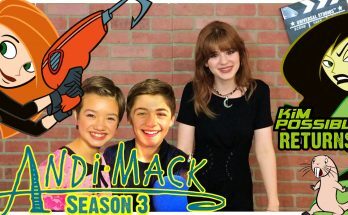 Andi Mack Season 3 Surprise? Kim Possible Live-Action Movie & Piper’s Picks 10 Year Anniversary! Previous Article BEST George Takei BLOOPER – How do YOU say Takei!? Star Trek & Whales & Turkeys, Oh My! Next Article Leo Laporte Levels Up on TWiT! MeGa-AwEsOmE Interview at TWiT Studios!